The Nordic League was established when two secret agents from Nazi Germany arrived in England in 1935. The organization was initially known as the White Knights of Britain or the Hooded Men. Archibald Ramsay, the Conservative Party MP for Peebles became its leader. Other members included Major-General John Fuller, 5th Duke of Wellington, William Joyce, A. K. Chesterton, E. H. Cole, Margaret Bothamley, Lord Brocket, Duke of Hamilton, T. Victor Lowe, Lt. Colonel Graham Seton-Hutchinson, Lady Douglas-Hamilton and Serrocold Skeels. The Nordic League was primarily an upper-middle-class association as opposed to the British Union of Fascists that mainly attracted people from the working class. The Nordic League described itself as "an association of race conscious Britons" and being at the service of "those patriotic bodies known to be engaged in exposing and frustrating the Jewish stranglehold on our Nordic realm. 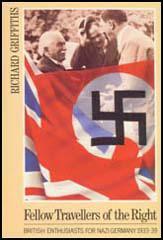 In Nazi Germany the Nordic League was described as "the British branch of international Nazism". (2) Fred Pateman wrote about the Nordic League in The Daily Worker on 12th July, 1939. 'We must change the present state of things (meaning the so-called Jewish control) and if we don't do it constitutionally we'll do it with steel. (Wild applause). A serious inquiry into Captain Ramsay's activities is urgently needed. These individuals are agreed in their hatred of Jewry and their conviction that Jews are responsible for the 'misunderstanding' between Germany and Britain, and are the instigators of the present war. There is, however, a wide range of views among them as to their own action now that the country is actually at war. Whilst very few are willing to bear arms against Germany, the majority feel that nothing should be done which might prejudice this country's interests and that they should play their part in civilian defence and humanitarian work, striving at the same time to enlighten those with whom they come into contact as to the 'real' nature of the factors which brought about the war. Captain Ramsay MP has expressed himself as willing to continue his anti-Jewish propaganda and has enlisted the support of the above- mentioned. (a) The distribution among MPs; in clubs; in the Services, of a carefully prepared memorandum or leaflet aimed at refuting the Prime Minister's statement that Hitler cannot be trusted, dealing with the issues of Austria, Bohemia and Poland and designed throughout to show that World Jewry are the instigators of the war. (b) Leaflets and adhesive labels bearing purely anti-Semitic propaganda. It is intended that these latter shall be printed secretly and distributed during the night. Captain Ramsay has been in touch with Sir Oswald Mosley with a view to arriving at a basis for cooperation, and it is reliably reported that the two have reached agreement. In this connection two articles which appeared in the current issue (16 September) of 'Action', headed 'Peace Aims' and 'War Aims' respectively, may be significant - they are framed on very similar lines to those of Ramsay's proposed memorandum.